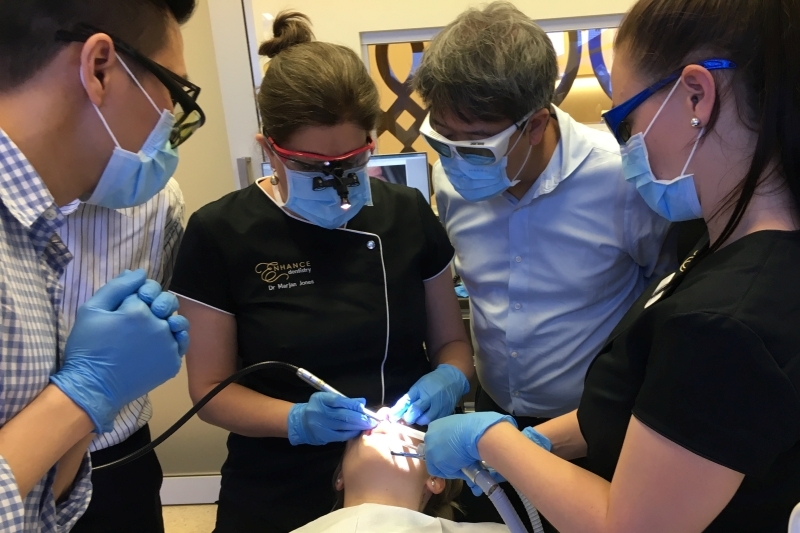 June 2019 – A complimentary benefit for participants of the Tongue Tie Institute’s Advanced Course – Infants & Toddlers is attendance for a special observation session at Enhance Tongue Tie Clinic. This session will enable participants to see an infant tongue tie clinic in action where the lessons learned during the course are demonstrated in a practical session. The session includes observation of the treatment team’s preparation huddle, and three consultation and treatment appointments with patients of Enhance Tongue Tie Clinic observing either Dr Jones or Dr Hanson and their support team. Following observation of consultation, treatment and aftercare protocols, attendees may participate in a debrief session with Dr Jones and Dr Hanson. Places are limited and local attendees may be requested to attend at an alternative time if travelling attendees need to be given precedence. Accordingly, your registration for the observation session is not final until approved by the Tongue Tie Institute. We will contact you if the time you have selected is unavailable to arrange an alternative time. Please select your preferred observation session time below.